Congratulations! You are now proud owners of your own home in the sun, are about to complete on your dream purchase or are seriously considering investing in a home in Murcia, Spain. You may be, or wish to be a full time resident here at Hacienda del Alamo, be using your home for family holidays and golf trips or have chosen your Hacienda property as a rental, capital growth investment vehicle. 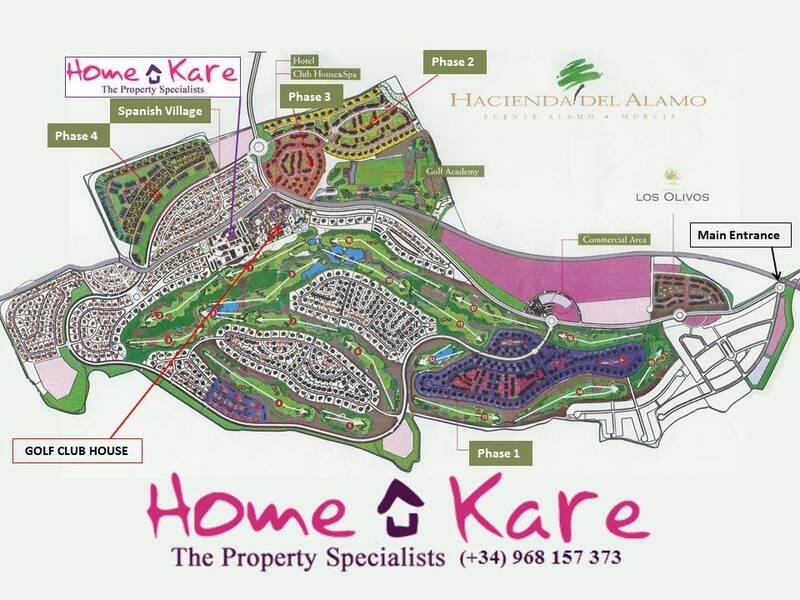 No doubt a lot of thought, time and hard work has been invested in your decision to purchase a property here in Murcia and we here at Home Kare would now like to support you in the setting up, maintenance and improvement of your home, helping you to enjoy benefits of your investment. Your Spanish home, as with any home will need care and attention to maintain it in perfect order, the sometimes harsh effects of the Spanish climate including periods of intense heat, heavy rainfall necessary, but thankfully rare and high humidity can have adverse effects on any property, and left unchecked for long periods of time may sometimes have costly repercussions. We hope to cover by means of this dedicated web page a list of services that Home Kare offers, this is by no means a definitive list as we pride ourselves in tailoring our services to meet your individual needs and, within this ever changing environment and your changing personal requirements, we will be only to pleased to discuss your ideas and aspirations in person, face to face, by telephone or email! Please do not hesitate in contacting us directly for any of your property needs!